Want to get in contact with charlie? Is an acupuncturist, yogi, spiritual teacher and life coach with a unique approach that combines eastern teachings & practices with modern methods to create long-lasting change in peoples lives. With over 15 years experience she has extensive knowledge, multiple modalities and expertise in the field of alternative health. 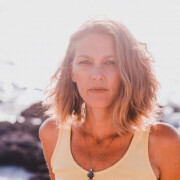 She incorporates her years of experience in the travel industry with her passion for healing to create life-changing experiences in Malta that are both transformative and fun.